Every year it gets worse. This year it’s been as bad as I’ve seen it. Even before the smell of turkey comes drifting from the oven, Christmas lights are going up in the neighborhood and decorations fill the stores. Some people don’t even give us a chance to celebrate Thanksgiving and skip right over it and jump to Christmas. I don’t know about you, but I like to enjoy each holiday, before moving on to the next. This year, Thanksgiving came as early as the calendar allows, which means almost an extra week before December. But that didn’t slow some people down. Oh, no. They jumped outside in mid-November and started putting up their lighted reindeer and inflatable Santa Clauses, as if they won a prize to be first on their block. I have a rule in our home. We don’t even think about pulling out the decorations until December 1, or at least sometime after then. Maybe a week or two later. Ok, sometime before the 25th. At least you can’t accuse me of jumping the gun and getting my holidays mixed up. 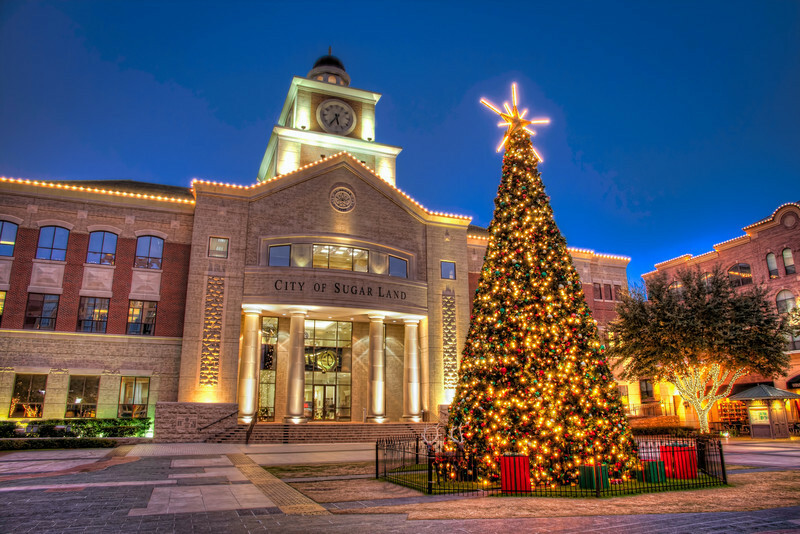 This is a scene from last year at Sugar Land Town Square at a rare moment when someone wasn’t getting their photo taken in front of the tree.